"The early bird gets the worm. The early worm... gets eaten." 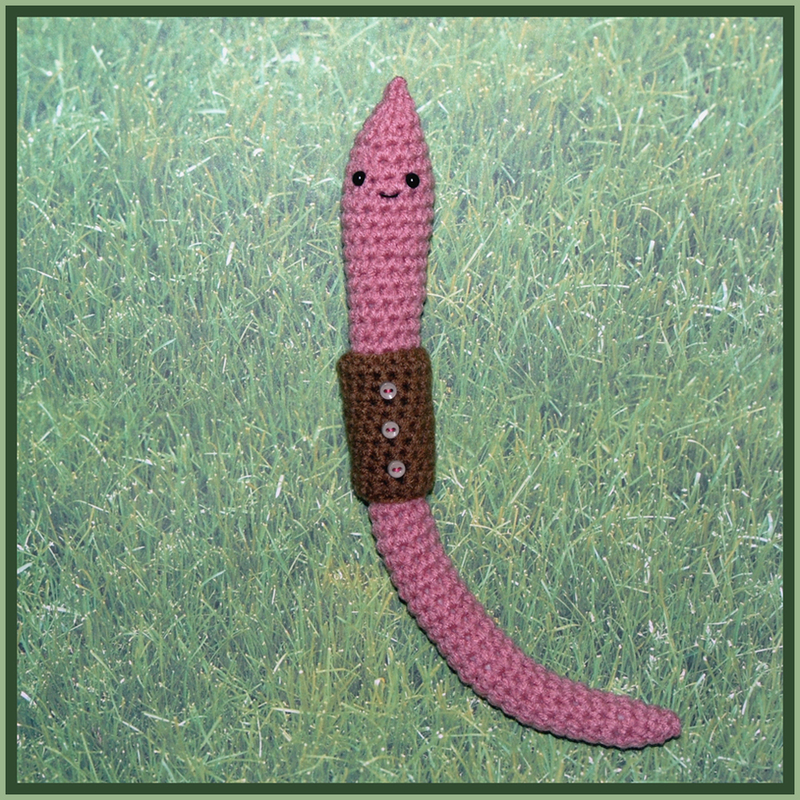 Still on my creepy crawly kick from yesterday, I decided to make an ami earthworm. But, what would be better? A more realistic version or something more cute and cuddly? As it turned out, I didn't have to choose - my worm could be both! And, thus, Wiggles squirmed into existence! 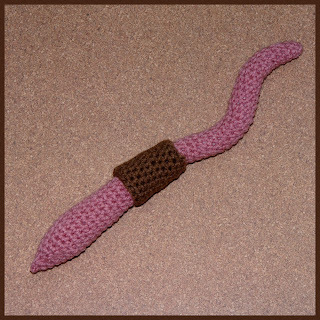 So, what, you might be asking, is that band around the worm called (I know I was wondering). Well, it is the clitellum. 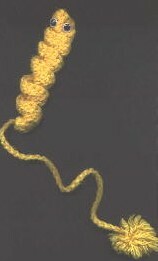 Happy crocheting and happy Monday!